The Province of Gojjam is located entirely within the bend of the Abbay River from Lake Tana to the border of Sudan. Always considered a sacred place, the area includes the part of the Blue Nile that many believe flowed from the Garden of Eden in the Book of Genesis. 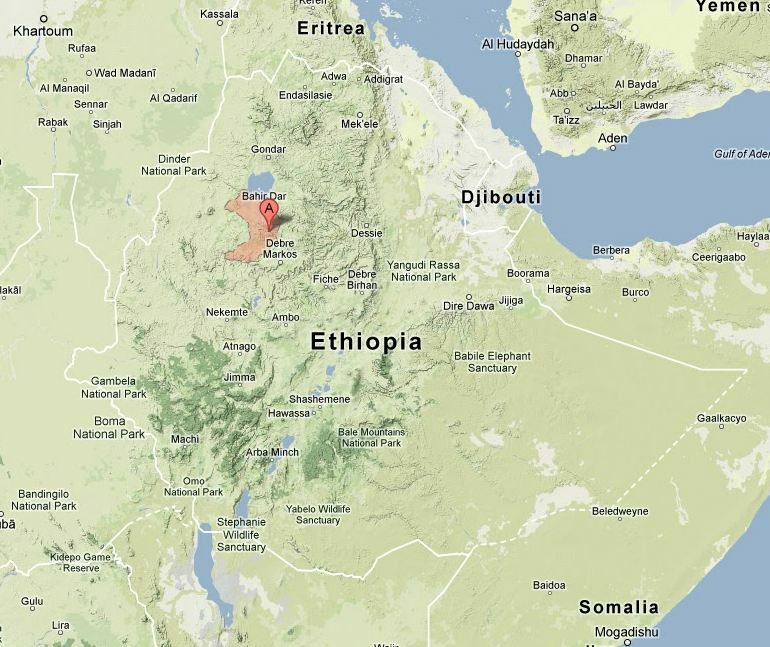 The capital city of the Eastern region, Debre Marqos, is one of the oldest cities in Ethiopia is named for St. Mark. Some of the finest liturgical schools were founded in Gojjam, and an advanced form of linguistic and philosophical theological thought developed there. The ancient Amharic, a Semitic language related to Arabic and Hebrew, is the official language in the area. It is related to Ge’ez, the liturgical language of the Ethiopian Orthodox Church, which dates back to 330 AD and possibly as early as the first century. A unifying force among the diverse peoples of Ethiopia, almost half of the population of the nation belongs to the Ethiopian Orthodox Church.